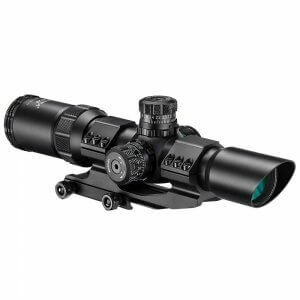 The new SWAT-AR 6-36x52 IR Rifle Scope has been specifically designed for long range, high caliber sport and hunting rifles such as the AR-10, Remington 700, long distance AR-15, and .50 BMG rifles. 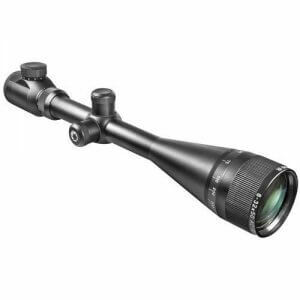 The powerful 6-36x magnification provides an excellent zoom range for engaging targets out past 500 yards, and tough shockproof construction keeps the SWAT-AR on target shot after shot. 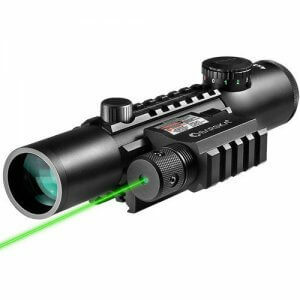 Additionally, fully multicoated optics and adjustable parallax settings help maintain maximum clarity at these longer distances, providing maximum light transmission to the user while correcting any parallax discrepancies. The SWAT-AR 6-36x52 Tactical Scope features the popular Mil-Dot Reticle located on the second focal plane. 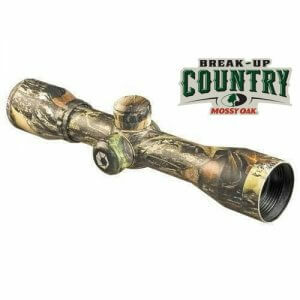 This glass-etched reticle can be illuminated in either red or green and set to different brightness levels. This allows the shooter to adjust the brightness settings of the reticle to fit the current lighting environment, which is especially helpful in low-light situations. Two buttons conveniently located near the ocular lens control the Illuminated Reticle (IR) settings. One push activates the illuminated reticle, and additional pushes adjust the brightness until it returns to its highest setting. This SWAT-AR model features innovative external locking turrets. The windage and elevation turrets can be adjusted, locked into place, or returned to zero quickly without having to remove any turret caps. These large textured turrets are easy to adjust even with gloves on, and their ability to lock into place ensures that no unintentional movement will occur to the windage or elevation settings. The 6-36x52 SWAT-AR Rifle Scope also comes with a one piece cantilever scope mount, two flip-up scope caps, and one CR2032 3V Lithium battery. This scope is fully nitrogen purged and o-ring sealed for complete waterproof and fogproof protection, ensuring years of reliable service. 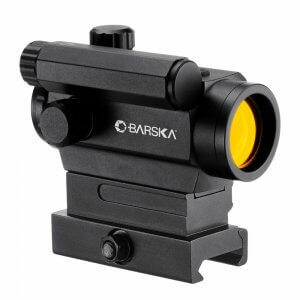 The SWAT-AR 6-36x52 Rifle Scope is backed by Barska's Limited Lifetime Warranty.